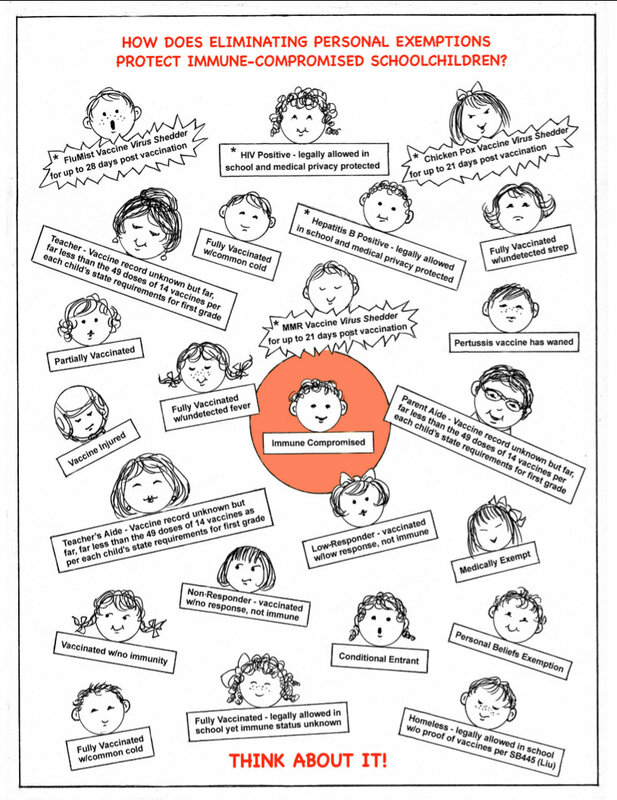 How does removing Personal Exemptions protect Immune-compromised Children? Poster or Handout Great for sending to your Senator or Representative. Two full sized, 8.5 x 11 inch, (or larger) professional print quality files in PDF format for easy printing. Set your paper size to Letter, small margins. Note: the 7 MB plus files will be slow to download unless you have a fast DSL or similar type connection. Note: the full sized files print clearly.